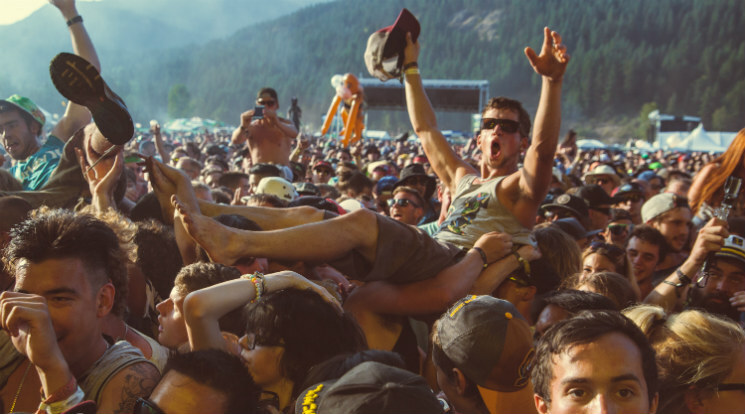 This past weekend (July 16-19), the second annual Pemberton Music Festival landed just a few hours north of Vancouver, in Pemberton, British Columbia, bringing with it a lineup that included Kendrick Lamar, Missy Elliott, Weezer, Father John Misty and more. While we reviewed the festival and took photos, we thought it would be interesting to document the acts with a little more dynamism, so we asked photographer Joshua Peter Grafstein to turn some of the fest's best moments into GIFs. Below, peruse our favourite GIFs to find your favourite artists interacting with the crowd, boogying and headbanging. When you're done, read our reviews from the fest here and see more of Joshua's work at JustJash.com.